I have included examples of work in progress. This way, you can follow my progress if you are interested in any of them. As you can imagine, I work on several pieces at once since finding the colors or themed mugs and/or plates may take some time. By now, you have probably noticed my sense of humor (or lack thereof). 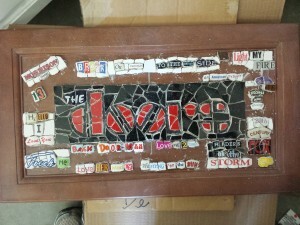 I found this cabinet door at a ReStore thrift store. 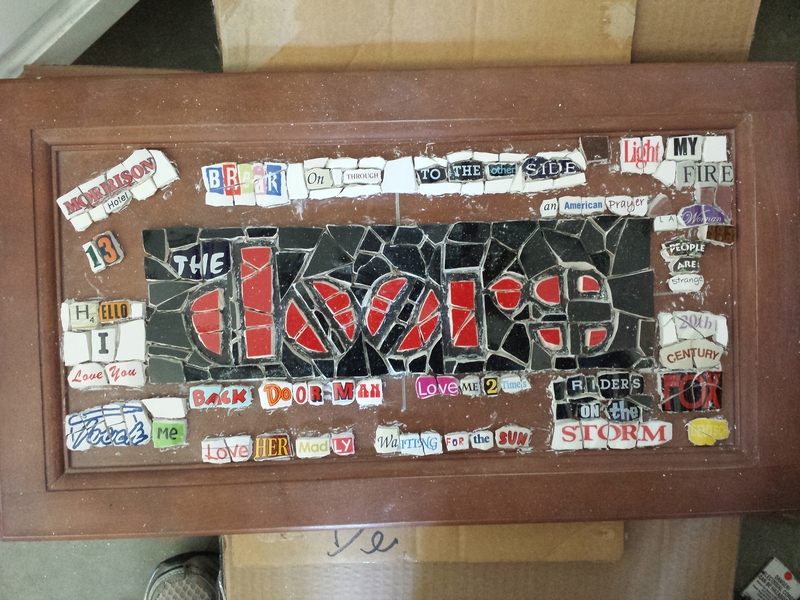 The Doors logo is surrounded by most of their greatest hits and 2 album names. It has a wire for hanging or can be used as a hot plate or cabinet door.